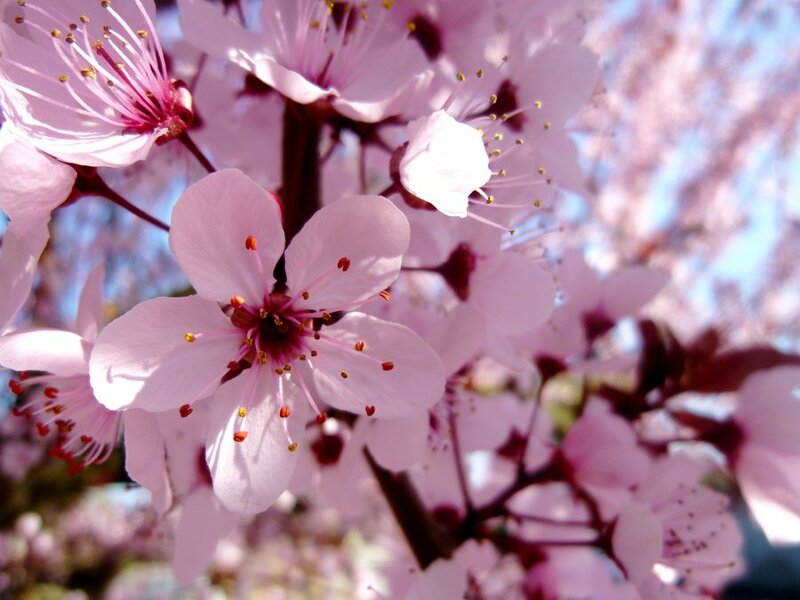 The cherry blossoms will be in peak bloom beginning this Friday, so there is no better time to celebrate this beautiful flower and the delicious fruit associated with it. Of course, the cherry blossoms we know so well aren’t actually responsible for the juicy red fruits we love, but you can learn all about that, the ancient roots of the cherry and more tempting facts by clicking on the links below. And of course, we’re bringing you a brand new cherry recipe! Sprinkle chicken with salt and pepper, then lightly toss in flour; shake off excess. Heat half the butter and oil in large skillet over medium heat; add half the chicken. Cook 8 to 10 minutes, turning occasionally, until chicken is golden and cooked through. Remove to platter and keep warm.Repeat with remaining butter, oil and chicken. Stir wine, chicken broth and mustard into skillet, scraping up browned bits. In small bowl, mix cornstarch, vinegar and water; stir into skillet. Add cherries and boil mixture, stirring until sauce thickens; 1 to 2 minutes. Stir in green onion. Pour sauce over chicken and serve. This entry was posted in Blog, Bon Appetit Wednesday, Culinary, Culture and tagged ancient history, ancient recipes, AntiquityNOW, Bon Appetit Wednesday, cherry blossom, cherry recipes, Recipes with a Past. Bookmark the permalink.